We’ve spent nice, yet hasty Christmas day. After the arrival to the Kuching marina, a government ran and thus cheap place on the outskirts of the industrial zone, we unfolded our bikes and went to town for a Christmas dinner (there’s a gorgeous Indian place called Foodsmith not far) and a cold beer. Soon after dinner we fell asleep. Tomorrow we set sail from Labuan to Johor Bahru. That will take us couple of days and it might as well happen that we won’t be able to wish all of you Merry Christmas. 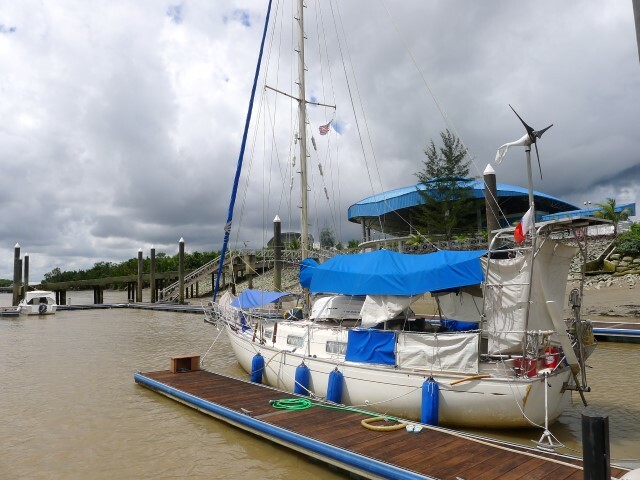 Now that our engine is firmly attached to our boat again (more on that later) and the interior is painted, thanks to Jana’s efforts, we have been granted the permission by the gods to leave the enchanted port of Kudat. We are now anchored in the Victoria harbor at Labuan, rain is pounding on the cabin, bread is baking (you should smell it!) and we are excited to heave the anchor and spend few days at sea. This Christmas doesn’t feel at all like it should. It’s not the first time we spent Christmas away from home, but even in Taiwan we’ve noticed Christmas happening. Here in Malaysia not so much. You get to hear to an occasional cheesy Christmas song, but that’s not enough to do the trick. If we are to spend the Christmas Eve (The Christmas happens on the evening of 24th for us), let’s hope we’ll be able to catch ourselves a nice mahi-mahi… and Jana tells me that she is going to make the best potato salad ever! We got very fond of our iPad 2. Small, fast to start, last couple of ours of typing. Love it. Except that it does not run our Windows applications like dictionaries, Office and such. Thus we when we visited Taiwan, we bought ourselves Asus VivoTab Smart tablet with Windows 8. Main excuse for this expense was so that we can write without turning on our laptops. 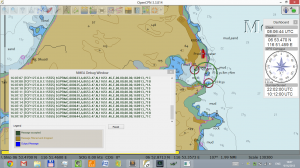 The second one was, that we can run OpenCPN and have instant navigation tool other than Navionics on iPad. The only trouble is, that Microsoft decided to wrap the internal GPS with an API that many application don’t know (including some sold by Microsoft!). There is a $15 solution, but it doesn’t work as reliably as one would expect. 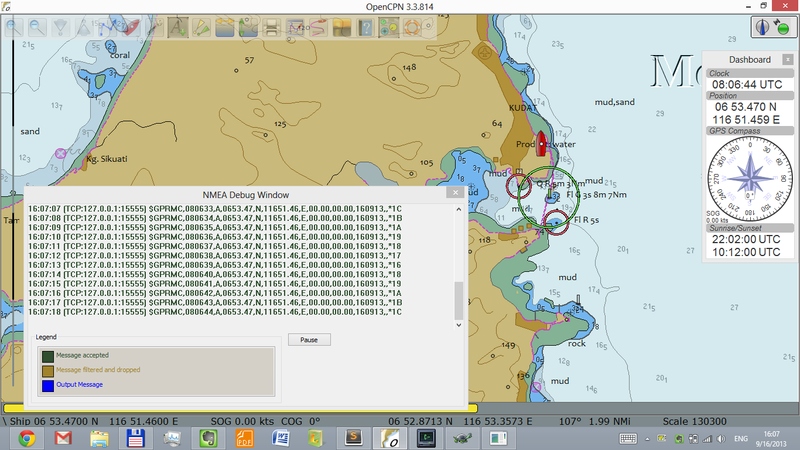 So I’ve decided to write a little TCP server that interfaces the Location API and sends NMEA sentences so that OpenCPN can read them. I’ve tested it briefly, seems to be working. 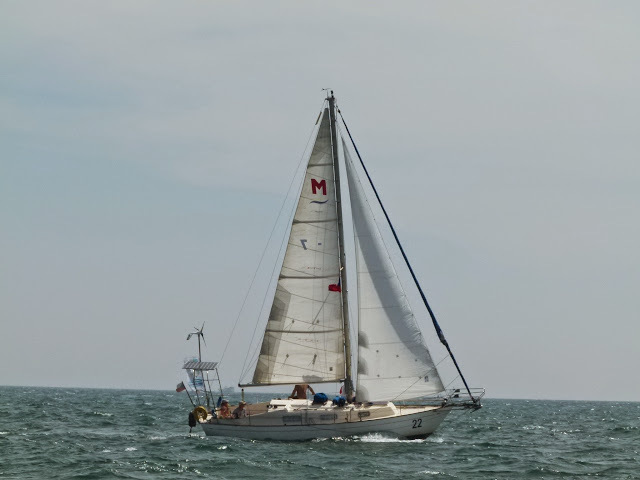 We will test it at sea next week when we head down the west coast of Borneo. If it turns out to be usable, I will improve it and make a proper application out of it.